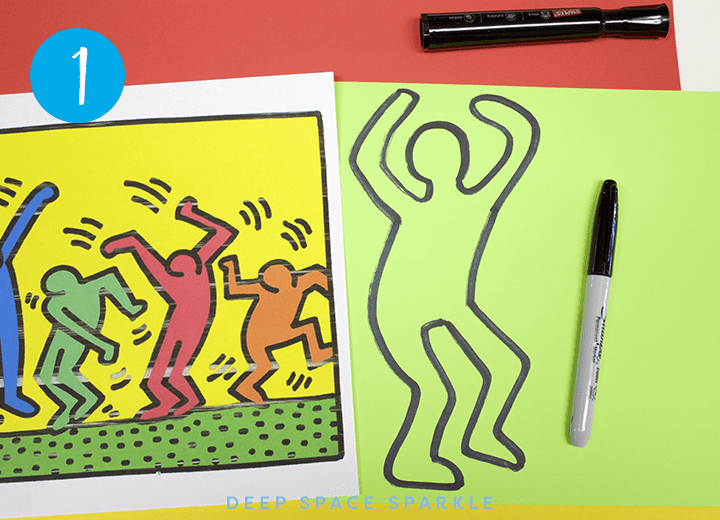 Keith Haring is known for his bold, graphic style of art. He was born in a small town in Pennsylvania in 1958. He loved Dr. Seuss and Walt Disney and learned basic cartooning from both current culture and his father. Haring devoted much of his time producing art to promote cultural messages. He is considered one of the most important artists of our generation. His artwork is very relatable to children. 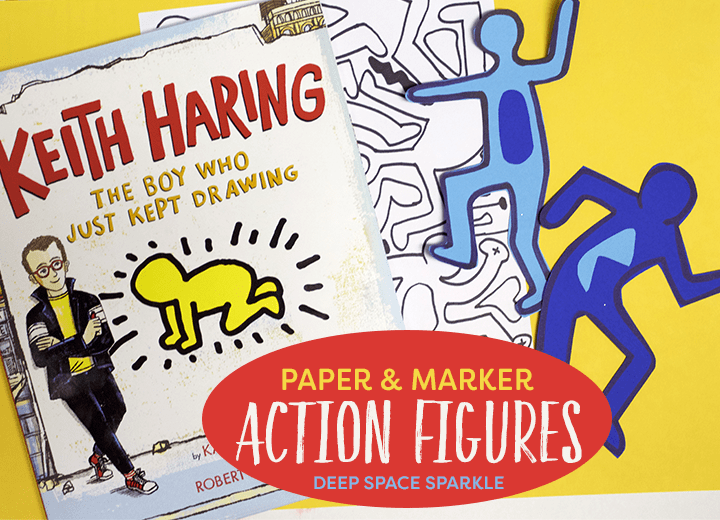 Haring’s fun, active art is relatable and replicable. 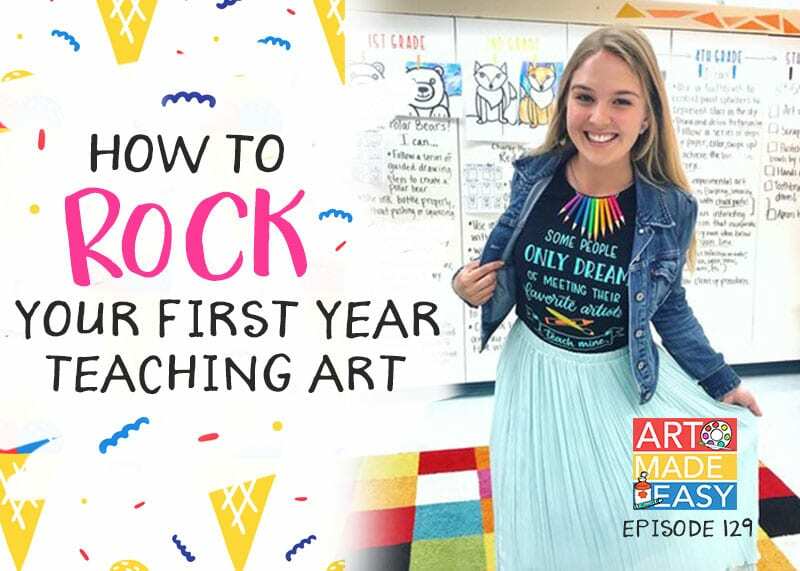 This lesson uses some of his most iconic works of art as inspiration. 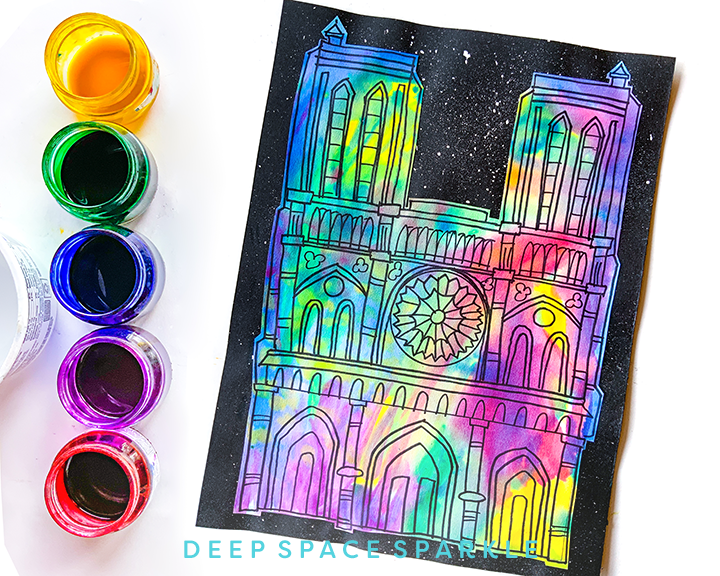 If you have colored paper and a black marker, you are on your way to creating some funky, active art! 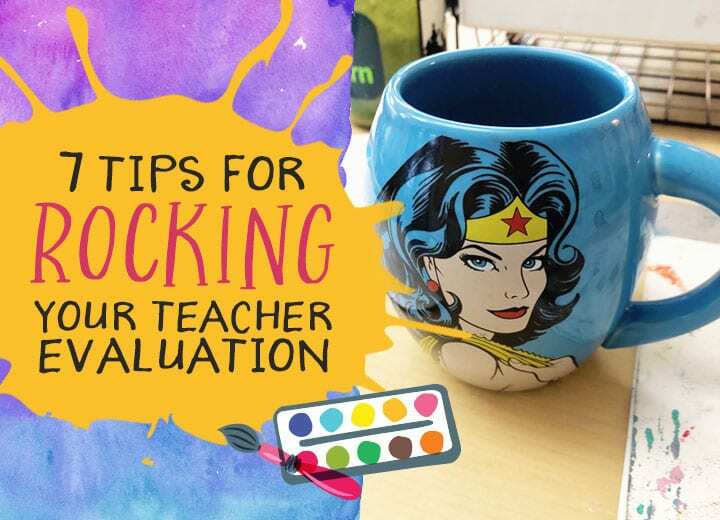 Use the drawing handout to draw 3-5 figures on colored paper. If you are unsure how your students will react to drawing without a pencil, hand out a piece of scrap paper to practice first. 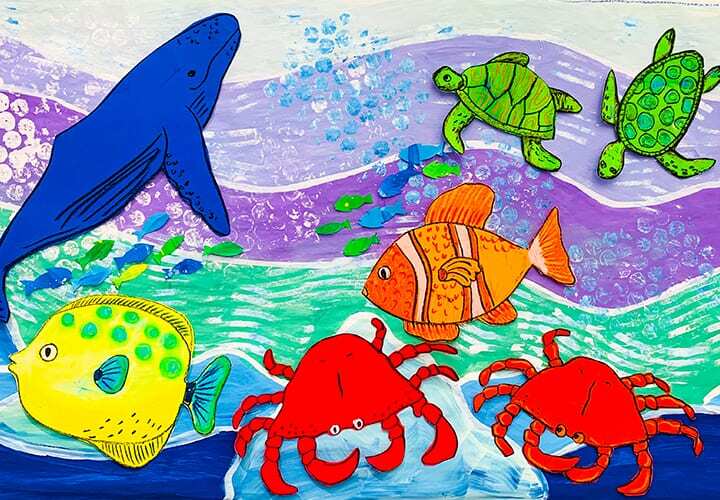 Children can draw all of their figures using the same colored paper OR vary the colors to create multiple colored figures. You can focus on WARM or COOL colors or even COMPLEMENTARY colors for the background. Cut out the figures and either keep the black outline visible or turn over the figures if you don’t want the outline visible. Create a background for the figures. In this photo, I used a red 12″ x 14″ paper and covered the bottom with a 3″ x 14″ paper. Place the figures over the background. Glue down and then use a black marker to add MOVEMENT LINES. This simple step adds RHYTHM to the art. 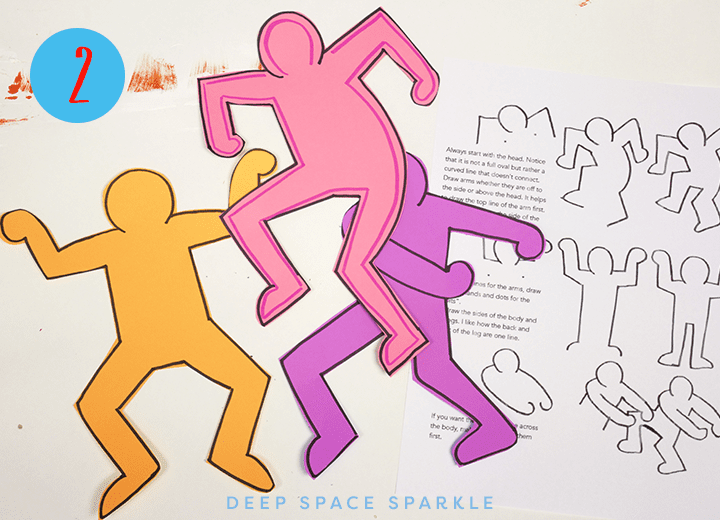 Here is another Keith Haring lesson from Deep Space Sparkle. I was overjoyed to see this book on the shelves of my local bookstore. 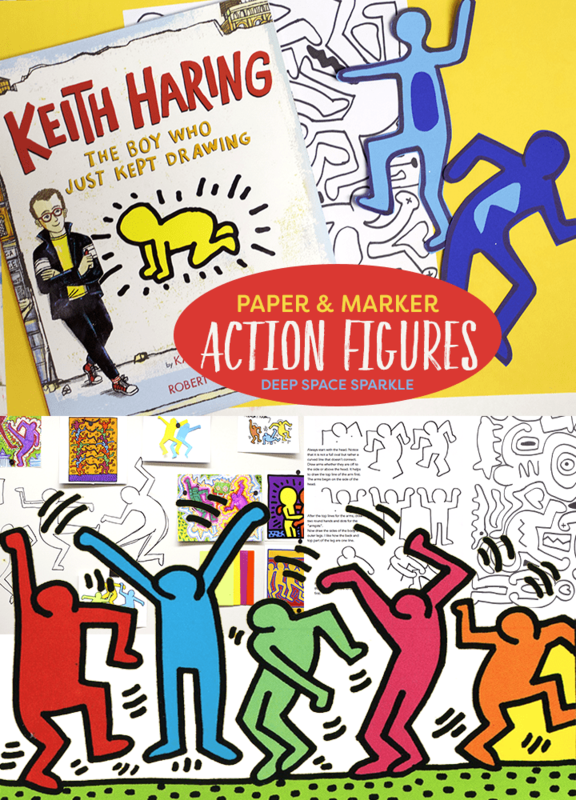 Not only is it about Keith Haring but it is illustrated by one of my favorite illustrators: Robert Neubecker. 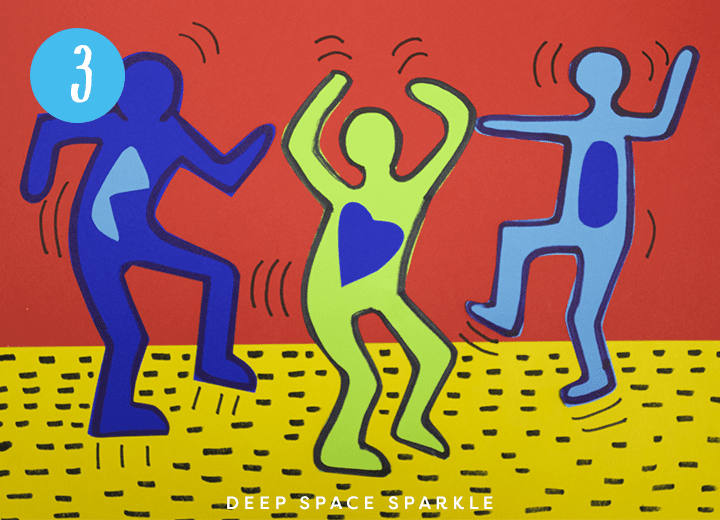 The illustrations capture Haring’s energy and style. Perfect pair, I think. To access the drawing guide, click on the yellow button and we will email you the PDF. Thank you for the free handout; it’s really cool! Aren’t figure 1 and 3 the same figure though? 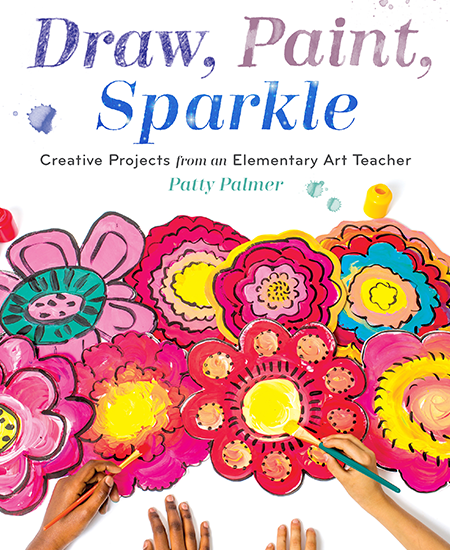 This is a perfect “end of year” project when things get SUPER hectic and art days are “hit or miss” in the way of full sessions. 🙂 Thanks for this! 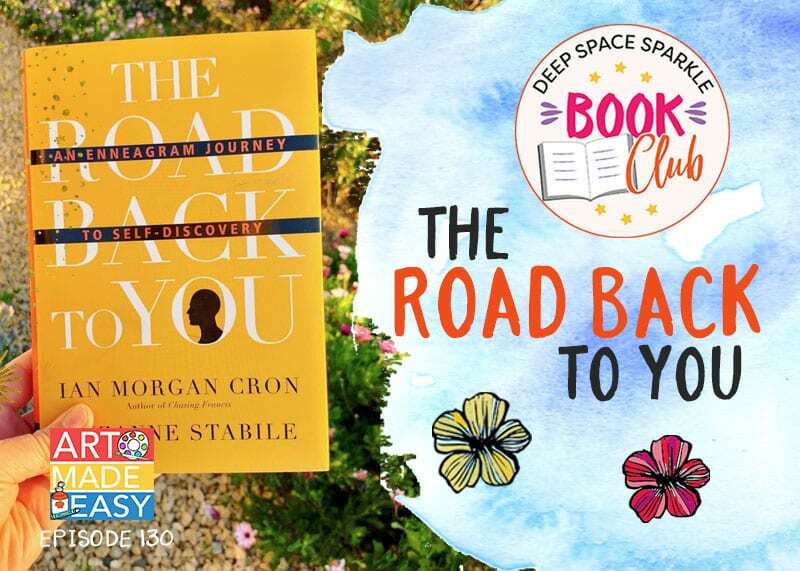 I am excited to do this one soon! Love it! My 9-year-old will want to do this right away! Oh my 8th and 7th graders couldn’t wait to add these to the textured paper they had made. I even made a couple of large patterns so they could trace it if they were having a hard time drawing. I have a few students with learning issues and this was great for them. As an introduction we watched a youtube about keith and then watch a video on the Ann Arbor Graffiti Wall. Great lesson! 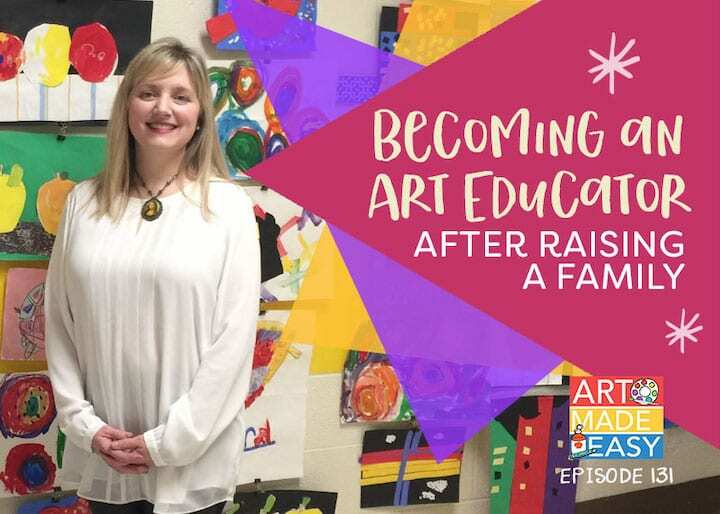 Thanks for this awesome art lesson. I needed something quick and easy as I had a little spare time at the end of the day. The Year 4 students thought it was fun creating their action figures doing the ‘flossing’ dance action. We also found the Keith Haring book on Youtube and students were fascinated to learn about the way he became an artist. Love this! I just used your water resist monster for ALL grade levels and tied it in with the beginning of school procedures and their Class Dojo Monsters! Everyone enjoyed the lesson! Thank you for the free resource. I noticed in the post it shows written directions for drawing the action figures but with the free download there are just pictures. Am I missing something? 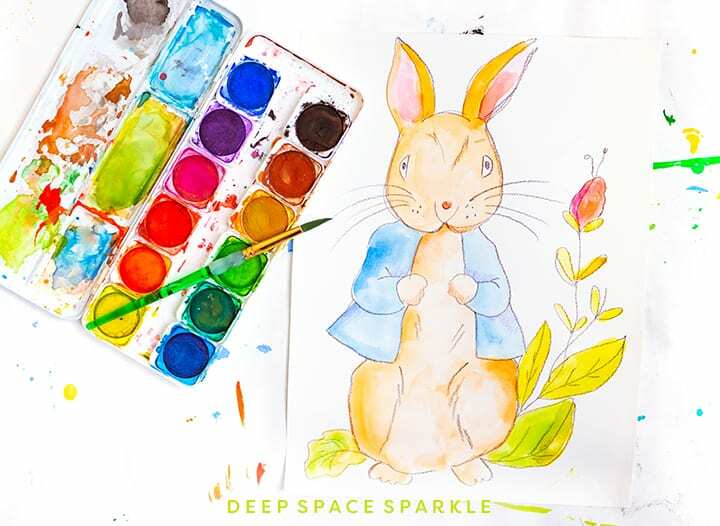 Yes…the full lesson is available to members in The Sparklers Club. 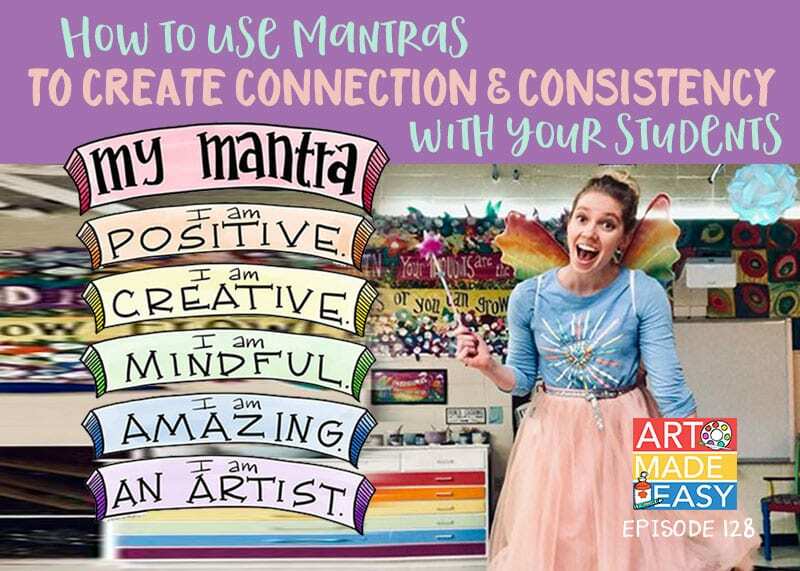 It’s a art teacher resource that includes access to art bundle s(which contains many lessons grouped by theme). We have another enrollment in January.